As part of the Big Ideas Fest conference, each participant is asked to be a part of an Action Collab. I'm participating in the one called "How to enable teachers to have the greatest impact on learners." We're following a typical design challenge step by step, and the first step is to identify the opportunity (aka challenge). 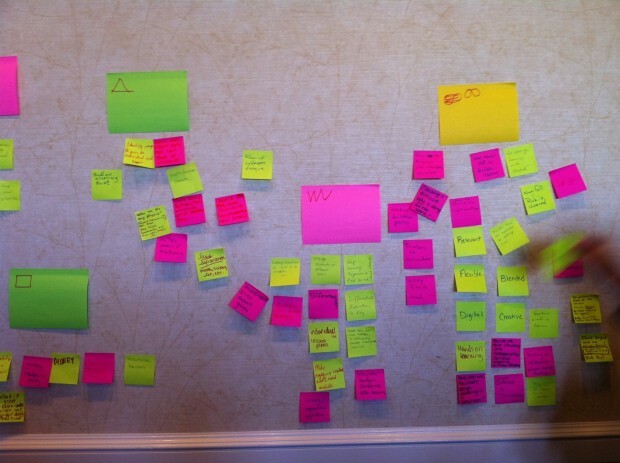 After our 22-member group interviewed two teachers, we came up with a wall full of words that described their challenges -- everything from lack of resources to inflexible working structure that discourages innovation. In the next couple of days, we'll attempt to find solutions to these challenges (or at least some of them) through design thinking.